The Nike Free RN Flyknit 3.0 is lace-free – letting you slip in and hit your stride. Supportive yarns join stretchy Flyknit for a lightweight upper that feels like a second skin. Underfoot, the outsole with grooves heel-to-toe moves and bends along with you. Upper mixes Flyknit with supportive TPU yarns for a second skin-like fit. 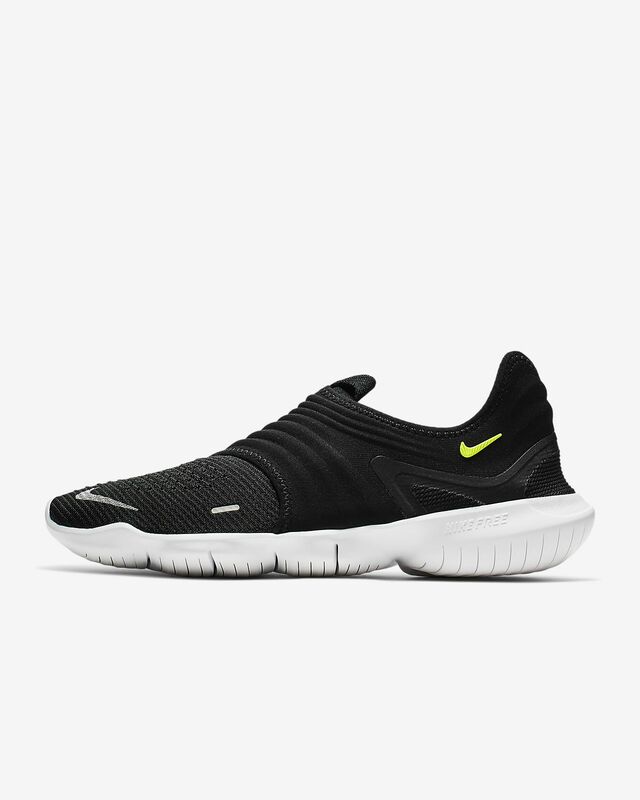 Lace-free, slip-on design reduces pressure on your instep. Heel-to-toe flex grooves bend with your foot. Strap across the midfoot stretches with your stride, yet also provides structure. Anatomical outsole follows your foot for the right amount of cushioning. Single-density midsole foam fits closely to your foot. Sockliner gives your foot a more connected feeling to the ground. Laser cuts on the outsole and side of the midsole bend with your every step. Have your say. 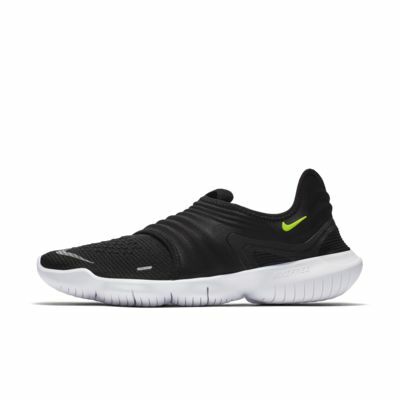 Be the first to review the Nike Free RN Flyknit 3.0.